Sunday, the New York Times Magazine ran this thought-provoking, and at times disturbing article on a Florida couple that forgave their daughter's murderer through a process called restorative justice. Apparently, restorative justice is a program aimed at allowing the victims, prosecutors, and community members to come together with the accused to work out sentencing. Reportedly, there is a lower rate of recidivism with restorative justice than with the traditional trial system. 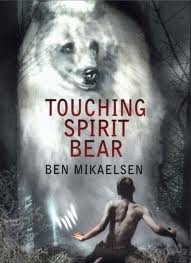 As I read the article, I couldn't help but think of the young-adult novel, Touching Spirit Bear, by Ben Mikaelsen. If you are teaching the novel, you may want to check out the article as a potential informational text to integrate with the book. If you are a parent, you may want to check out the article and ask yourself if you could ever do what these parents did.